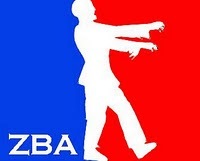 BZA Bob's Zombie Apocalypse in 28mm: DON'T FENCE ME IN. Wow, time flies when your unwell and spend a couple of days in bed. Still not feeling 100%, but a little better than I was. Haven't done too much hobby stuff this week, mainly R&R, but I have managed something. To start us off we have another piece of zombie art, the latest attempt to bring some culture to this most uncultured blog. It's also the latest instalment in my GRIMBRO obsession. 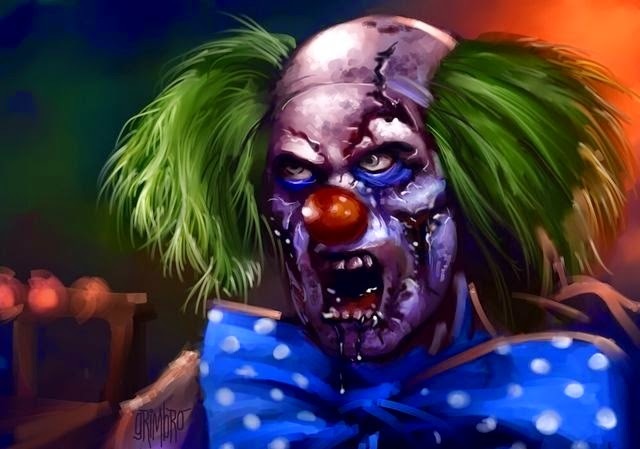 YOU'VE GOTTA LOVE A ZOMBIE CLOWN. Eagle-eyed viewers will recognise the zombie clown from the closing scenes of Zombieland. Columbus, one of the main protagonists, had a fear of clowns so there just had to be a zombie clown during the finalè. The zombie clown was played by Derek Graf. It has been brought to my attention that since my last post, this humble little blog has passed 10,000 pageviews. To say I'm amazed at this news would be a massive understatement. A massive THANKS goes out to all of you who take the time to check in on my weekly output of nonsense. It would appear that the welcome wagon needs to be brought out of storage again, to welcome my latest follower Stephen. So a big BZA welcome must go out to him. WELCOME STEPHEN. Grab a seat, get comfortable this is taking ages. OK, so what have I done since last time. Well to be honest, only a little but I have been ill. I have to wait until payday next week to buy more ink to printout more card/paper scenery, so while twiddling my thumbs I had a bolt of inspiration, fences to go with said buildings. ATZ, has 3 different settings. Rural, urban and suburban. So I figured that each setting would need different styles of scenery. This lead to a little brainstorming and research. Lo and behold, I came across the perfect rural fences on a fellow blogger's blog, Zadabak's Zombieworld provided the template of the look I was after, so I stole the idea. A BIG THANKS TO JOE. CHEERS! I used Joe's excellent post as a starting point but needed my fences to be truly free standing, without the corner pieces. I managed to find lolly sticks 10mm smaller than the 120mm fence lengths, using these and matchsticks, I cobbled together a basing system for the individual fence panels. I then covered the raw wood with an old oop GW product, Flesh Wash, an ink based pigment which stained rather than painted the fences. Alas my bright idea was undone, where the PVA had done it's job it prevented the ink staining properly. This was remedied by the application of very dark brown paint, GW Rhinox Hide. I MADE HALF A DOZEN. More urban fences were made with bamboo skewers and a mesh product used for rendering and plastering. Using foamboard as a base and very fine fuse wire to tie the mesh to the skewer poles. They were then sprayed with metallic silver paint and distressed with a chestnut ink to simulate rust. LET'S HOPE THE FENCES HOLD OUT A LITTLE LONGER. During my R&R I had a chance to catch up with some zombie movies that I hadn't seen. Namely Cockneys vs Zombies, The Dead, [REC] 3: Genesis and a re-watch of Planet Terror. Not a bad way to spend an illness. I ONLY MADE FOUR FOR NOW! 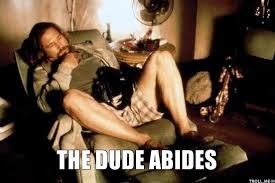 Well that's all I got for now dudes and dudettes, so until next time try and do as the DUDE does and "take it easy". Congrats on 10k views! 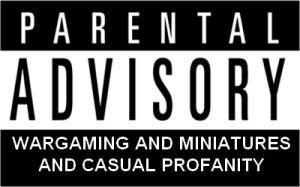 Those fences are great as well, they will make a difference to the look of the gaming table. There's plenty more fences tò come, I'm sure some of them will be a little stronger and more substantial than the mesh type. Scenery items like these really help bring a game board to life. Oh, and I LOVE your choice of movies to watch. All well worth a view in my opinion. All the little details add up. The movie selection was great fun to watch, I'm sure they'll get repeat viewings at some point. Great looking fencing especially the coffee stirrer ones. I have some of those movies to catch up on as well. Its been a tiring week and not a lot has been done over at the Brummie household either! Great idea that had to be stolen. They were all well worth watching dude! It must be the time of year but I'm getting better everyday. These fences are getting well and truly copied, dude. Splendid stuff. Have you caught The Dead 2: India yet? If you like the first one, you'll probably like that too. Let's just say Joe's post was very inspirational. Not seen the second one yet. For it's budget, I thought The Dead was pŕetty good. Many congratulations on another milestone Bob and I'm sorry to hear that you've not been feeling too well. These look the business though especially the mesh - looks great. I'm getting better now thanks. Plenty more mesh left to make more fences, stay tuned. The fences look great Bob, but I doubt i can take full credit for the idea. Well I saw it on your blog first, that's good enough for me. The fences look great! Next time stain the wooden sticks before you glue them together. Oh And I was sure you'd make 10,000 and beyond in no time. That's a damn good idea. The views keep climbing, I'm completely amazed TBH. Some sweet fencing there Bob! The mesh is a great idea. The mesh was a great find, I've got loads of it so probably more to come. Great job Bob, and a nice reminder, I need more fences, too! On metal fence you made the same rookie mistake as so many of us - if you would cut it diagonally (so that the lines wouldn't go horizontally and vertically, but from southwest to northeast if you know what I mean), you would get a much better effect on the fence. TBH I tried it diagonally on my first prototype but didn't like the effect, I thought the holes were too big. I do have a little mesh with smaller holes, so I'll try it that way with some of the finer mesh. I encountered the ink pva issue while painting the mdf building for my blog game, I also had to paint over the areas. Great idea with the plasterer's scrim cloth, I've used rolls of the stuff (even have some in the workshop) but never thought that it could be used for wire fencing. I'll borrow the idea when needed! Yeah, bit of a pain in the arse but I quite like the paint patches as it breaks up the uniform colour of the ink. I knew that the stuff on rolls was called scrim tape, didn't know the stuff in big sheets was called scrim cloth. Bit obvious though really. Borrow away dude, inspiration is the watchword. Thanks for the great ideas!!! Nice work on those fences. Yep, zombie clowns up the evilness a bit more. One can't have too many fences, they look great. No you can't, more to come.